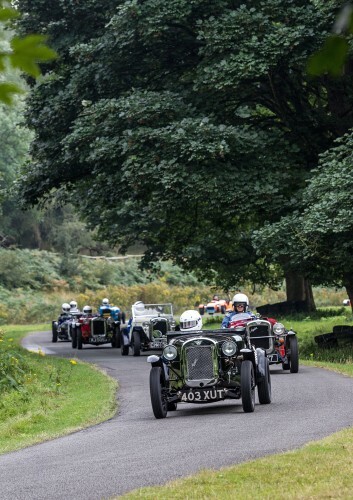 The Bert Hadley Memorial Championship is a series of Sprint and Speed Hillclimb events held each season for PWA7C Motor Sport Section members driving Austin Sevens of virtually any suitable type. The Championship is completely amateur and unsponsored and is geared to cater for drivers of all ages and occupations, expert or novice. Venues in the 12 round series include Oliver's Mount (Scarborough), Gurston Down (Wiltshire), Loton Park (Staffordshire), and the Anglesey Race Circuit, between April and October. The cars are divided into 'Road' and 'Track' classes and may include sports cars and reproduction single-seaters, inspired by the works cars, as driven before the war by Bert Hadley and his team mates. Herbert Lewis Hadley – always known as 'Bert' – was born in 1910, at Sturchley, Birmingham, the son of Bert Senior a toolmaker at Cadburys, he gained a coveted place at the Austin Motor Company's Apprentice School. 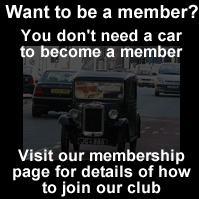 In 1930, he was seconded to the 'elite' Racing and Experimental Department within the famous Longbridge Works. Throughout the following decade, Bert was to make an ever-increasing contribution to the works' competition activities – initially as a mechanic, then race-car builder, test driver and finally as development engineer and number 1 team driver. He was personally involved with all the competition cars, particularly with Murray Jamieson and the O.H.C. single-seaters. As a driver, he was equally effective whether up Shelsley Walsh Hill or on the circuits at Brooklands, Crystal Palace or Donington Park. It was Bert's idea to convert the failed Le Mans sports cars into what became the famous "Grasshopper" Trials Team. Our 'Grasshopper Challenge' series celebrates Bert's success in this activity. Had not the war intervened, Bert was all set to become a full-time professional driver with a continental team. Instead he tried to become a fighter pilot, but the Air Ministry thought, at the age of 29, his reactions would be below the required standard. Having ascended Shelsley in 40.05 seconds and lapped Brooklands at around 130 mph, just a few months previously, Bert was not impressed! He remained at Longbridge, where aircraft frames were now being produced until May 1941, when at the personal recommendation of Lord Austin, he was seconded to the Ministry of Labour. His task was to co-ordinate the production facilities of Midlands engineering firms, large and small, towards the war effort. No mean challenge for a 31-year-old. Bert was to remain a "man from the ministry" until his retirement. However in 1950, he was asked to partner Leslie Johnson, who he'd known at E.R.A. before the war, in Jaguar's first appearance at Le Mans. They were 3rd when the clutch failed, after 20 hours. For the next five years he drove in the Dundrod T.T., and at Le Mans again for the Jowett, Healey and Triumph works' teams. In 1952 he was in the famous '7 days and 7 nights' endurance run at Montlhery in the XK120 Coupe LWK 707, alongside Moss, Fairman and Johnson. After his retirement Bert took a great interest in what is now the Vintage and Historic scene and wrote with great authority of his recollections of those eventful years before the war. With his sad death in 1993, went the last true link with the Austin Works team of the 1930�s. The Bert Hadley Memorial Championship was inaugurated in 1995 with the approval of PWA7C member Clive Hadley who sadly died in January 2007. Clive�s support and enthusiasm will not be forgotten as we continue to celebrate the life and achievements of his father. For further details of The Bert Hadley Memorial Championship or The Grasshopper Challenge Austin Seven Trials programme, please contact the Competition Secretary.